Adult cane toads are very large animals (at least for amphibians) and can tolerate dry conditions fairly well. But baby toads are tiny – often measuring only one centimetre or so in body length. These little animals lose water quickly and so are only able to survive close to the pond’s edge, at least during the Dry-season. Lots of people say that all life-history stages of the cane toad are poisonous – but as with so many aspects of toad biology, nobody had ever got around to actually measuring poison content. TEAM BUFO has now done this, in two ways. 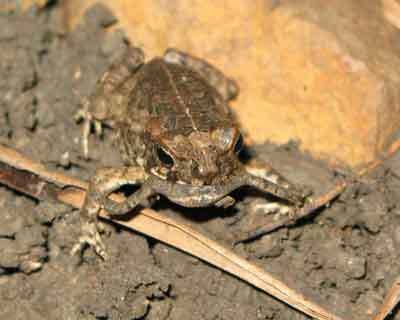 First, Dr Michael Crossland has offered toad eggs and dead metamorphs (baby toads) to tadpoles of native frogs. The native tadpoles all ate the toad eggs and babies, but there were huge differences in the proportion of tadpoles that died as a result. The newly-laid eggs are very poisonous, but the danger to predators then decreases as tadpoles get older. The newly-transformed baby toads are the least poisonous, but once the baby grows a bit bigger it starts to make its own poison and so the danger of eating one goes up dramatically. 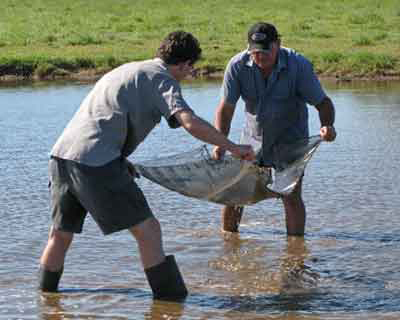 Dr. Michael Crossland and Eric Cox collecting cane toad tadpoles. The second line of evidence comes from our collaboration with Prof Rob Capon and Dr Andrew Hayes, of the University of Queensland. They have analysed the composition of poisons in the eggs and tadpoles of different sizes – and sure enough, the pattern is exactly as Michael found from his studies on predator mortality. Lots of poison in eggs, much less in older tadpoles. The end result is that the newly-transformed toads are walking a fine line. They are not very poisonous, so predators can eat them. They dry out quickly so can’t stray too far from the water. But if they go into the pond, they are likely to drown. All of this suggests that this stage of a toad’s life might be a good one to target for control – that is, we could hit them while they are most vulnerable. Travis Child carried out a research project on these baby toads, to understand more about them. 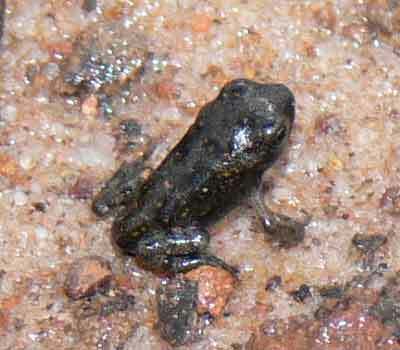 He confirmed that the risk of drying out drives the little toads. They move away from the pond’s edge in the morning when the ground is moist, but retreat back to the pond’s edge at midday. 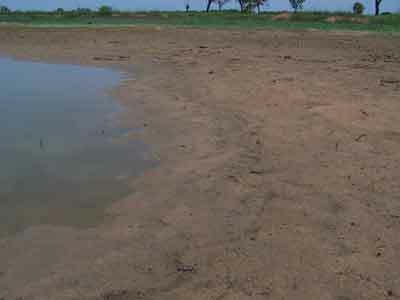 They leave the pond as soon as they can, but during the Dry-season, they really can’t manage to do that without drying out and dying. So they stay next to the pond all through the Dry-season, but it’s a hard life. The biggest problem for a little toad is the presence of his larger cousins, because cane toads are highly cannibalistic. 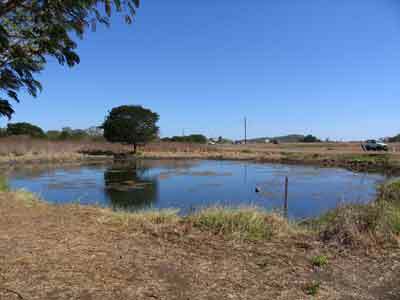 Dr Ligia Pizzatto and Rick did a series of surveys around a pond near Fogg Dam, and Mattias Hagman did the same in northern New South Wales. In both cases, the larger juvenile toads were specialist cannibals – about two-thirds of their diet consisted of smaller brethren. Some of the “toad-busting” community groups have challenged Rick’s statements about cannibalism being common, but that’s because they have looked only inside big adult toads. The big toads mostly just eat insects – it’s the half-grown juveniles that are the specialist cannibals. So the people who confidently say that toads are not cannibals really should go down to a pond late in the Dry-season and watch for a little while at dusk ... the shoreline is full of tiny toads being gobbled up by their larger neighbours! 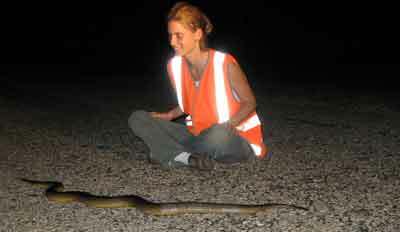 Dr. Ligia Pizzatto came to work on pythons but is now studying cane toads also. Indeed, cannibalism is a major feature in the life of a young cane toad. The larger juvenile toads even have a special behaviour to help them feed on their younger relatives – they twitch one of their toes so that it looks like an insect. It’s very effective at bringing baby toads in closer, so that the cannibal can eat them. Mattias and Rick showed this by building a model mechanical toad with a twitching toe, and attracting baby toads to it! 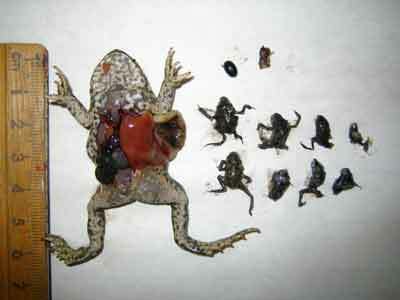 The baby toads (right) were all found inside the stomach of this larger toad. Ligia and Travis and Rick also have looked at cannibalism in detail both in the field and in the laboratory. The risk of being eaten by your larger cousin has been a major influence on the behaviour of baby toads. It changes both where they stay, and when they move around. If we place a bigger (potentially cannibal) toad near the water’s edge in our experiments, baby toads stay away even if it means drying out. And cannibalism also changes the time of day that baby toads are active. 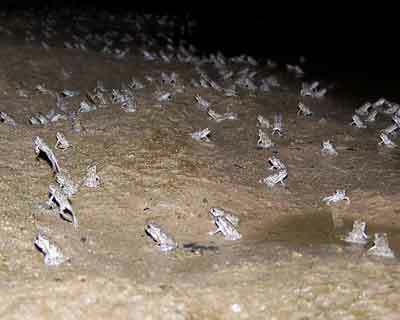 Older toads are active mostly at night, like most other frog species, but the babies are active by day – and our experiments show that the main benefit of that switch is that you are less likely to get eaten by a bigger toad. Cannibalism turns out to be a consistent feature of cane-toad life. Even the tadpoles are cannibals - they eat newly-laid toad eggs, but are not interested in the eggs of native frogs. That fondness for chomping on new eggs is a potential chink in the toad's armour. We have discovered that the eggs produce chemicals that spread through the water in the pond, and that toad tadpoles are very good at finding those chemicals and using them to locate the eggs. So, if we put those chemicals into funnel traps, we can rapidly catch many thousands of toad tadpoles (and almost nothing else). 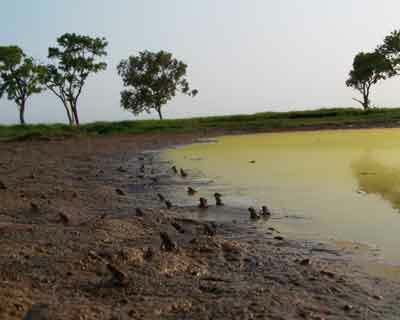 See our "tadpole control page" for more details.